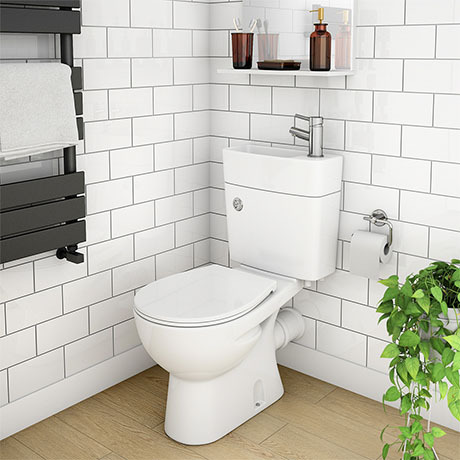 The innovative Seattle combined two-in-one space saving toilet, the Seattle combines a toilet and wash basin into one clever solution allowing you to have a compact suite in even the tightest of spaces. The integrated wash basin sits cleverly on top of the toilet. Cistern uses waste water from the basin to fill the WC cistern, thereby reducing water usage.